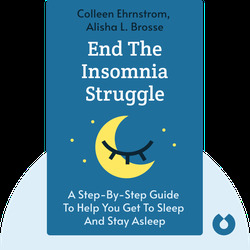 End the Insomnia Struggle (2016) is a guide to getting a good night’s sleep. These blinks are full of practical advice on how to handle sleeplessness. 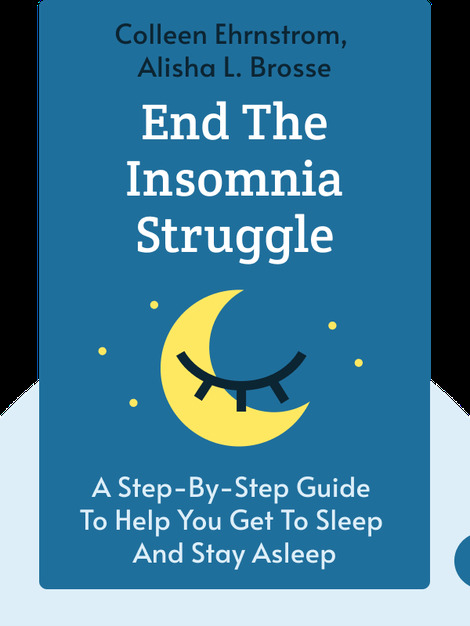 They explain, among other things, how to track your sleep problems, understand the science of insomnia and apply a variety of strategies that’ll help you get the rest you need. Colleen Ehrnstrom has a PhD in psychology, who currently works at the Department of Veterans’ Affairs in Denver, Colorado where she specializes in Acceptance and Commitment Therapy (ACT) as well as Cognitive Behavioral Therapy (CBT). Alisha L. Brosse also holds a PhD in psychology and is a licensed clinical psychologist who likewise specializes in ACT and CBT. She serves as an associate director of the Robert D. Sutherland Center for the Evaluation and Treatment of Bipolar Disorder at the University of Colorado.